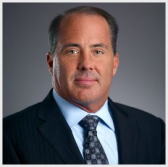 ExecutiveBiz spoke with David Morgan, vice president of operations and co-founder, regarding STS International’s track record delivering mission success for federal agencies. ExecutiveBiz: Over the course of your 25 years with STS International, how have you enabled success for your clients in defense, security and private industry? What is something unique about your company that most people don’t know? David Morgan: In the defense industry, STS International is a company that thinks out of the box and always puts innovation first. To us, innovation is how to get the mission done better. We have been disruptive in the typical models that traditional contractors follow. 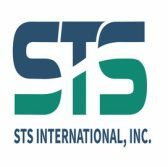 STS International was able to enter the market because we’re more agile and can move into spaces other contractors couldn’t. Once we grabbed a foothold, we were super aggressive on execution, which is one of the greatest strengths of the company. We have been at the forefront on emerging technologies like biometrics and surveillance applications that were being used in Afghanistan and Iraq before it was mainstream. ExecutiveBiz: What advanced capabilities and platforms are you developing that will have the greatest impact for federal customers? David Morgan: It’s less about finding out what’s currently happening, but more about predicting when things are going to happen and being able to ensure the right assets or equipment are there in order to support customers. The capability to look at historical data to see what’s trending on these systems allows us to put the right part at the right location and with the right person to fix it or ensure preventative maintenance can be done beforehand. Many of these systems are mission critical and their failure really impacts the ability of users to do their jobs. We use that kind of AI and prescriptive analytics to provide the right infrastructure, the right people and right assets in locations to ensure the mission is successful is important. We are also looking into using augmented reality to assess to enable field engineers that are forward deployed to help them diagnose and repair pieces of equipment faster than you would expect. We are involved in bringing to market leading-edge machine-learning technologies that can help government save time and money. Another strategic discipline we are expanding into and investing in is the full C6ISR arena, as the war fighter and its support mechanisms require a broader view in terms of capabilities. We’re always thinking ahead. ExecutiveBiz: What are some of the challenges you have encountered when developing new technologies and what are your strategies to resolve them? What are the greatest challenges for federal agencies when acquiring new technology? David Morgan: For the federal government, the big challenge is the requirement to do business more efficiently, but agencies can be hampered by the requirement process. With a lot of these systems, the underlying customer requirement is already there. The question is how to secure funding. It takes time to go through the federal acquisition process. It tends to be easier once you have a foothold and you have shown customers consistently that you can save them money. ExecutiveBiz: In 2019, which federal markets do you see STS International entering and driving the most value? David Morgan: I think there are multiple areas for us. There’s going to be significant growth in ground mobility and tethered systems for robotics. Instead of drones that people imagine are flying around, there’s a great opportunity for growth on the ground mobility market. We will also know that the new age of multi-sensory environment means more analysis opportunity for big data from UXS systems (Unmanned Systems). STS International is also looking into digital supply networks. As opposed to a linear process, digital networks are fully integrated as dynamic and there’s a diagnosis issue being identified, queried and figuring out the best product to meet that requirement and fix that particular problem. That’s the focus. I’m working with our customers to be able to provide the best product, the best fit and to deliver the best solutions. As I noted, it’s all about mission-critical innovation. David Morgan is a co-founder of STS International. He oversees worldwide operations responsible for rapid design, development and deployment of cutting-edge anti-terrorism and physical security technologies, medical simulation training applications and professional engineering services.